Poisonous lead (Pb), among heavy metals, is a potential pollutant that readily accumulates in soils and thus adversely affects physiological processes in plants. We have evaluated how exogenous H2S affects cotton plant physiological attributes and Pb uptake under Pb stress thereby understanding the role of H2S in physiological processes in plants. Two concentrations (0 and 200 μM) of H2S donor sodium hydrosulfide (NaHS) were experimented on cotton plants under Pb stress (0, 50, and 100 μM). Results have shown that Pb stress decreased plant growth, chlorophyll contents, SPAD value, photosynthesis, antioxidant activity. On the other hand, Pb stress increased the level of malondialdehyde (MDA), electrolyte leakage (EL), and production of H2O2 and uptake of Pb contents in all three parts of plant, viz. root, stem, and leaf. Application of H2S slightly increased plant growth, chlorophyll contents, SPAD value, photosynthesis, and antioxidant activity as compared to control. 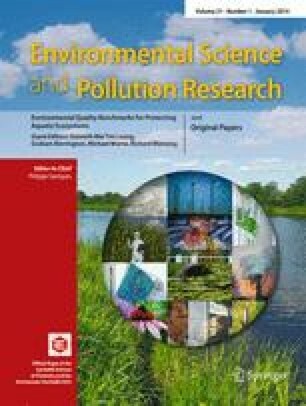 Hydrogen sulfide supply alleviated the toxic effects of lead on plant growth, chlorophyll contents, SPAD value, photosynthesis, and antioxidant activity in cotton plants. Hydrogen sulfide also reduced MDA, EL, and production of H2O2 and endogenous Pb levels in the three mentioned plant parts. On the basis of our results, we conclude that H2S has promotive effects which could improve plant survival under Pb stress.